Two of your favorite childhood snacks have clashed into one ultimate after-school treat. Yoplait and Sour Patch Kids have teamed up to create Go-Gurt Sour Patch Kids. The candy-flavored yogurt hybrid comes in two flavors -- Redberry and Blue Raspberry -- and both flavors are included in the 8-pack and 16-pack snack boxes, which are currently available in stores. According to taste tests conducted by POPSUGAR and Delish, the yogurt tastes remarkably like the sweet and sour candy, if not a little more bitter. Hey ‘rents! 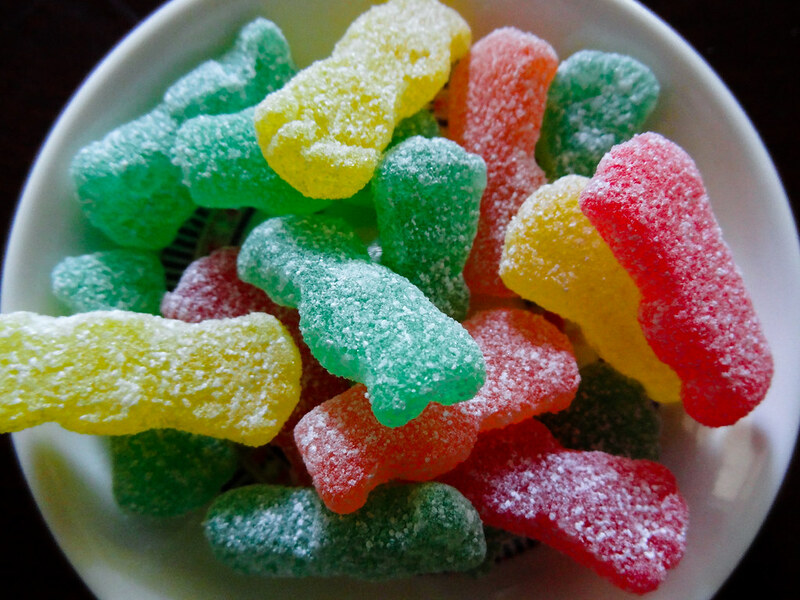 The SOUR PATCH KIDS are here! Go-GURT SOUR PATCH KIDS flavored yogurt. In stores now. If you are no longer five years old, the idea behind a Sour Patch Kids yogurt concoction might sound a bit stomach-churning. To some, the creamy mix of yogurt with the lip-puckering gummies was not something they found appealing. Many people left doubtful comments on the official Go-Gurt Instagram page, and the yogurt company was quick to defend their product. Instagram user @saturnzbarzaj commented on a photo, "_whispers _ the sourness is from rotten ingredients." Go-Gurt clapped back: "_whispers back _ Hey, we're happy to report that Go-GURT SOUR PATCH KIDS flavored yogurt uses natural ingredients to get that sour and sweet taste." But some people were into it. Twitter user @flyyguyce86 tweeted, "Got some sour patch go-gurt. I hope they good cause I love go-gurt and I love sour patch kids." The collaboration was announced last week. Tsubasa Tanaka, the business unit director of General Mills, said in a statement, "As a brand, we are always looking for new ways to create more fun for families. With this collaboration, we're bringing together two beloved brands known for their ability to instigate fun... to create an incredible snack experience." If you just need a sugar-filled breakfast, this Go-Gurt is definitely a step in that direction.